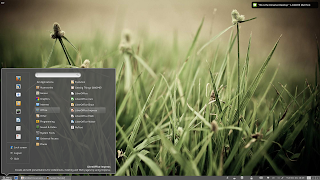 Cinnamon is a Linux desktop which provides advanced innovative features and a traditional user experience. The desktop layout is similar to Gnome 2. The underlying technology is forked from Gnome Shell. Why fork GNOME Shell? According to Clement Lefebvre (who talked about this on IRC @ #mate), the reason is that even though extensions are cool, you can only do a small amount of stuff with them and you can't control interactions between extensions, their loading order and so on. Among the features that we'll probably see in Cinnamon are GNOME2-like notifications and systray icons, option to change the panel position and other panel options like autohide, etc. Some of these features are already available through Mint GNOME Shell Extensions (MGSE), but their functionality is pretty limited. 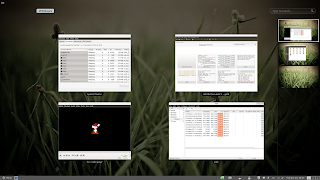 The screenshot you see in the beginning of the post is Cinnamon, not the MGSE Bottompanel/Windowlist/Menu extensions. 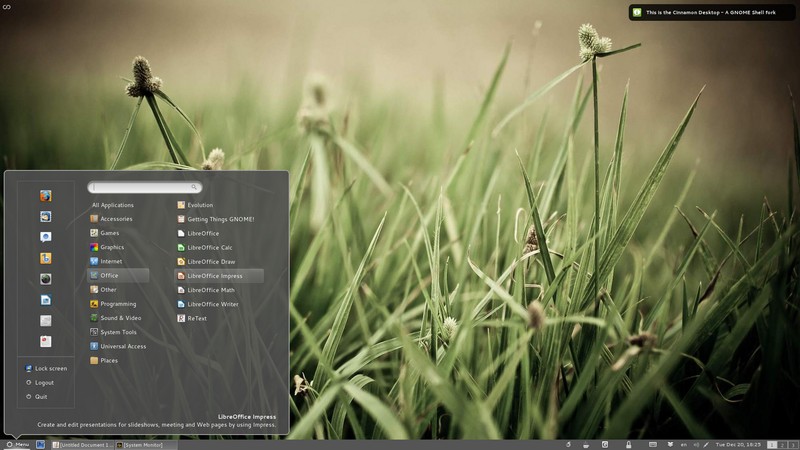 At a first look, Cinnamon looks and behaves a lot like GNOME Shell with Mint GNOME Shell Extensions, except the MGSE features are built-in (the panel settings for instance, hasn't been implemented yet). However, if you look more closely, you'll notice that there's no message tray - it has been replaced with a classic "systray" at the bottom and the notifications look like in GNOME 2. Yes, there's no "Applications" tab so apparently the Activities Overview only has the workspace functionality. At least for now. The Cinnamon code can be downloaded via Github. Remember, Cinnamon is in it's early development stages so expect to find bugs and missing features! Many thanks to Antoni "Pinguy" for the tip!